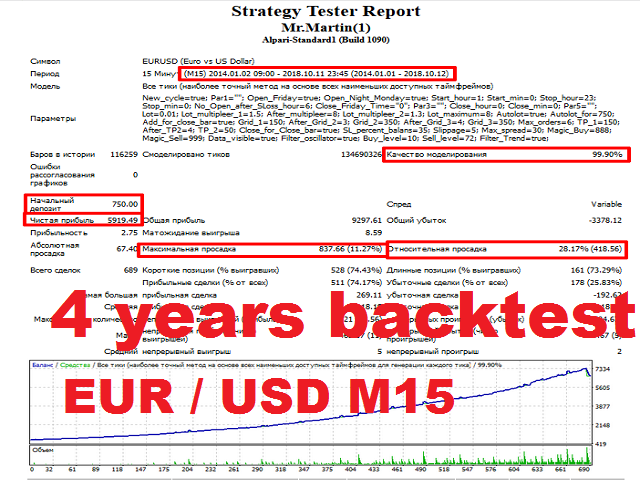 EA Mr.Martin is a fully automated Expert Advisor that is designed for quiet, investment trading over a long period of time. 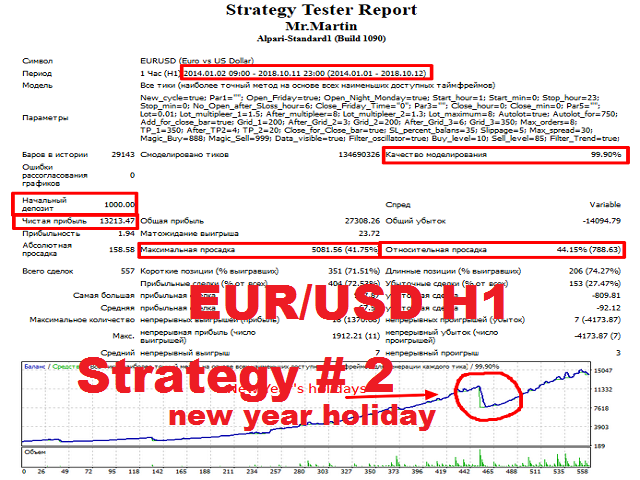 The Expert Advisor uses in its strategy the principles of averaging unprofitable positions, but due to the unique input system, several filters, and the deposit protection system, expressed in the SL_percent_balans parameter, is completely safe for your deposit. 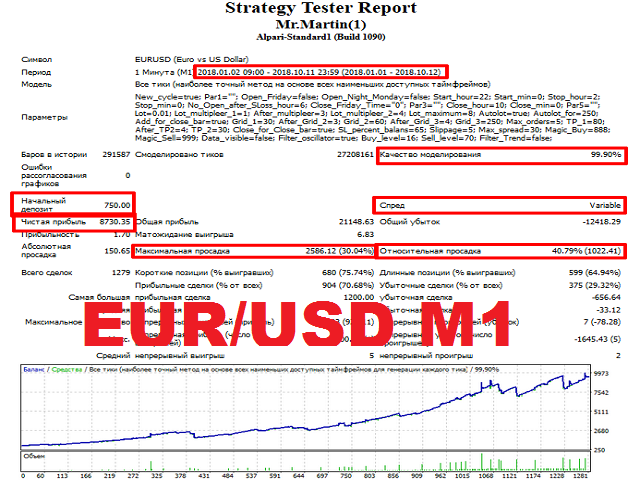 The default settings are optimized to work on EURUSD M1 GMT+2 and can be used in trading all the time without optimization, "set once and forget." The minimum deposit for trading is $ 1000. There are also more conservative and more aggressive settings, to get them, contact me. Settings in the comments NOT WORKING !!! The Expert Advisor opens and closes trades on a "closed bar", therefore it can work with any broker and any spread. Important! 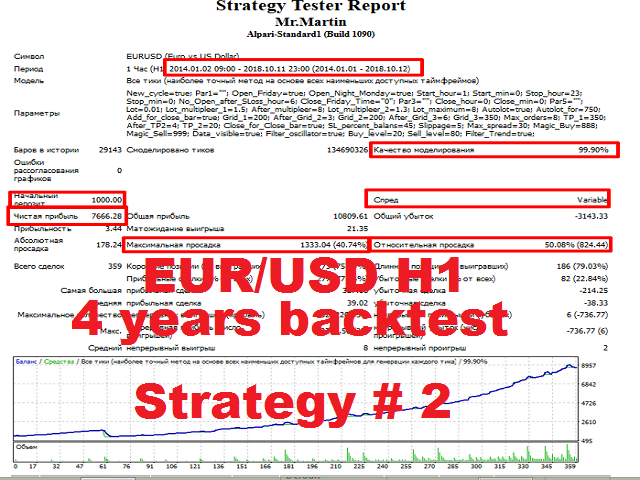 If your spread exceeds 10, then take profit should be reduced !!! Советник отличный,безопасный и прибыльный.Погонял в тестере и поставил на реал. Fixed the prohibition of trading on Tuesday and Wednesday. Added limitation of work on Thursday.